2014. if economics and economic policies are so complex that public managers and politicians would be unable to have a say on the matter, what democracy do we have? 2007. Being much bigger than the Liberal State, the Democratic Social State required public management reform. On the other hand, the managerial reform legitimized the Social State. 2007. This paper summarizes my model of public management reform, and shows that, depending on the form it is applied, it may be progressive instead of neo-liberal. Portuguese version available. (Paper: International Public Management Review). Spanish version(Paper: Revista del CLAD Reforma y Democracia). 2007. This paper summarizes Bresser-Pereiras model of public management reform, emphazing its double aspect one, mangerial, the other, structural.English version available (Paper: Revista de Administração Pública). Spanish version(Paper: Revista del CLAD Reforma y Democracia). 2006. Revista del CLAD Reforma y Democracia, No. 36, Portuguese version available. (Paper: International Public Management Review). 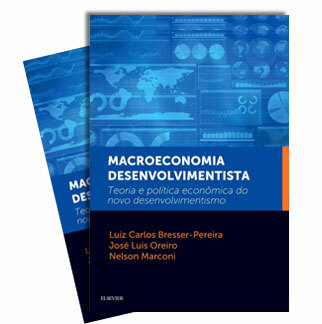 English version available (Paper: Revista de Administração Pública). 2000 ). With Nuria Cunill Grau. Book organized by CLAD's Scientific Council according to my classification of the types of bureaucratic and of managerial accountability. Translation from the Spanish edition, 2000. (Edited book: Fundap). 2005. Note to the Fourth Annual Meeting of the Committee of Experts on Public Administration, of the Economic and Social Council (Ecosoc), of the United Nations. New York, April 6, 2005. 1999. Edited book with Jorge Wilheim and Lourdes Sola. Major social scientists analyse the recent transformation of the world society, and its effects on the state. 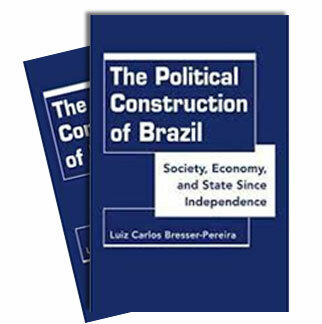 (Edited book: Editora UNESP). 1998. Intervención en el seminario "Los Nuevos Mecanismos Institucionales: Estado, Mercado y Sociedade Civil", patrocinado pela Universidad de San Martín y el BID. 1997. A broad view of the public management reform. The role of the state and new forms of accountability (administration by results, managed competition for excelence, and social accountability) are discussed. Portuguese and Spanish versions available. (Paper in book by Burlamaqui, Castro e Chang). 1998. Outline preparado para servir de base para a Carta de Madri de 1998: Uma Administração Gerencial para a América Latina. 1997. Preface to book by Nuria Cunill Grau.